.::. The Art of Powerplay .::. 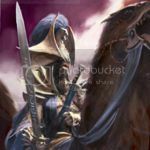 This article seeks to elaborate and explain how High Elf lists can be designed and played to push an opponent. I will give a brief introduction where I state what I consider Powerplay to be, why I believe in it and what units I consider essential to such a playstyle. These are all introductory sections however, its raison d'être is to show how such a playstyle can function. This section will also by far be the biggest and most important piece. In a nutshell, I want you to consider this an ABC sort of guide to Powerplay with High Elves. The primary target audience for this article is anyone who has a decent amount of experience and understand most of the basic High Elf and Warhammer concepts, preferably with tournament experience. Furthermore, the primary target audience here prefers to play aggressive lists and wants to learn more, to explore and adapt High Elf lists designed to push in a competitive environment. Powerplay - What, Why, Who, How? ...such as combat reforming to create an inescapable trap for Plaguebearers. Note that the DoC player moved in the meantime and the last Beasts crumbled at the end of his turn. Powerplay is pretty much a term I`m coining for this article to detail an army concept whose purpose is to run across the table, kill the opponent`s units and win big. By nature, powerplay is performed my mobile lists. We will delve more into this under the how section. It`s a pushing style of play which rewards creative thinking and seeing opportunities: By nature, the aggressor tries to create situations whereas the defendor tries to deny them. One could say that a Powerplay list is the action list, whereas the opponent has a reaction list. 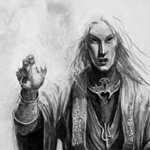 Many lists could fall into this broad and somewhat vague description, and this article does not in any way claim it was the origin or inception of anyone`s playstyle or list, it is simply a term coined for the sake of discussing a specific subset of High Elf army lists. Please keep that in mind while reading the rest of this post: The term Powerplay solely means a subset of lists to be used as frame of reference for this article alone. See the who section for more details on this. In a singles setting (i.e. not a team event), you need to score big points to win. In my experience, you need to average over 15 battle points per game in a 20-0 system to have a chance at winning. Assuming you go to an event to win, scoring big points is your number one concern to reach this goal. Every list can win big, however in a typical tournament setting you need to win big consistently and capitalize on the advantages you get, either due to brilliant play or due to an opponent making a mistake. Why? Well let`s for a moment imagine that you`re playing a Dwarf gunline. You`re facing Warriors of Chaos and they have their bells and whistles DP, double 3++ heroes and Skullcrushers heading in your direction. In a lucky break, you manage to kill the DP and one of the heroes in one round, and he`s not even able to charge you next turn! While a weaker player will maybe throw caution to the wind and storm all-in, securing you a 20-0, a stronger player should (and will!) abandon the charge and consolidate the fact that he`ll at least get 5 or 6 points. Turn this situation around: you`re WoC storming onto Dwarfs and in a lucky break you kill both their cannons. Suddenly, your DP is free to cause havoc and there is nothing the Dwarf player can do about it. Thus, the initiative and capability of capitalizing on an advantageous situation inherently lies with the aggressor. Furthermore, if you`re playing a defensive army you will always have some matchups where an opponent simply can push you really hard and there`s nothing you can do about this. These games inevitably end up with a terrible loss, frequently 0-20 and given the nature of the army, is very hard to avoid. With a mobile, aggressive list, you almost always have the option of playing the avoidance game, making a tough matchup not necessarily go beyond 10-10. Granted, this assumes a correct understanding of the matchup as this hinges a lot on deployment, but my point is that it can be done. A defensive list does not have this option, and having a bad matchup go 8-12 instead of 0-20 can be the difference between a top placement (as ~80 battle points are easily achievable despite one 8-12 game) and a decent placement. Note that this doesn`t mean that only the aggressive lists do well, or can do well: In fact many events are won by playstyles that are anything but aggressive or mobile. To summarize then, a mobile, aggressive list has an easier time mitigating losses if the game turns sour and it has an easier time playing a hard matchup without losing big. A Powerplay list is inherently about controlling the pace of the game, controlling the where and the when of battles. It thrives in a context where it can move freely without pressure. This sounds easier on paper than it is ingame and of course you have to care about the terrain when you are fielding a Dragon vs 2 Trebuchets or an Ogre Ironblaster. The general idea though is that the more freedom you have to move around, the greater your options and thus your chances are. This is a combination of list building, terrain, deployment and your opponent`s reactions to your moves. As the metagame varies, different choices stand out as good and bad. If there are too many chaff units, a Deathtrain list will do poorly. If the blocks are too hard, a Star Dragon will do poorly as it`ll get bogged down and, worst case scenario, eventually die. While a Powerplay list has the initiative, it is important to remember that this is only one out of many aspects that greatly affect your standing in the metagame. Continuously evolving and developing the lists you play is a necessity to stay on top: No one list is strong regardless of context. First, let`s look at some maths and evaluate deployment - a very important aspect of Warhammer. Armies deploy 24" apart, at the minimum. An opponent going all the way back to the boardline is essentially 32" away from your deployment line. Assuming you have M5 infantry you march for 2 turns and are still 12" away: that`s assuming your opponent hasn`t moved! Also, remember that drop advantages can see him create a diagonal setting as well, where the distance is significantly greater. In reality, what happens is you can`t engage unless it`s on his terms before T3 at the earliest and even the simplest of redirectors will ruin these plans. Realistically, if the infantry unit can handle incoming fire, you won`t be in meaningful combat before T5 or T6. Because of this, a Powerplay army cannot have a core of M5 infantry unless said unit has a lot of damage output at a distance (DE can powerplay quite well with Darkshards, although they`re forced to play a defensive game against certain lists). That`s not to say M5 infantry cannot be taken, just that they cannot alone provide what`s needed. Implicitly, this explains the popularity of the cavalry prince - a perfect element to rush an enemy with his super-strong offense @4S7 ASF attacks. Defensively, 1+ re-rollable is no joke either. The general rule of thumb is that the more mobile and hard hitting a unit is, the more capable it is of playing powerplay. Let`s take a step back and take a broader look at the situation: units in Warhammer never work in a vacuum and we need to consider overall armies. Obviously we cannot take 4 Star Dragons and call it an army because it is illegal, and regardless of how we configure our armies we are bound to have certain elements that out-run and out-hits the others. Because of this, board control is essential: we want these units to be able to perform surgical strikes without being overwhelmed. Enter the best support unit in the game: the Great Eagle. With fly, T4 W3 this supporting unit is super-mobile, hard to catch if it doesn`t want to be go and surprisingly resilient to small-arms fire and near-immune to panic. It can keep up with anything in our list and takes up fairly little space: as such it is very easy to block stuff out with it. The Reavers aren`t far behind and have the advantage of being core tax. Together, these allow us to control the board so well that it`s ridiculous. Opponent`s often feel that it`s our hitty elements that are overpowered when in truth we could not work at all without these humble supports. Take a look at this report and pay attention to how my opponent`s continued efforts to make his units support eachother are failing throughout the entire game: every single engagement that occurs happens on my terms: HE vs EMP. Despite this next game being obsolete due to a new book having come out, I feel this report also features just how effective chaff units can be: HE vs DoC. Dark Riders can do it Better!! Reavers holding back an entire flank of huge Skaven units. Their sheer size meant it took them several turns to wrap around the central impassable piece of terrain. By holding the Reavers in reserve, it was trivial to block them out and keep the Reavers in range of BSB/General to avoid panic messing up the situation. The blocked Skaven units never made an impact on this game. The first build is perhaps the most typical for a Powerplay list, typically featuring a Star Dragon supported by a Frostheart (or two!) with a flexible list configuration capable of contesting board control with virtually any army, with enough magic to make a real threat out of the phase despite no lord level mages and mobility that is second only to a very few lists in Warhammer. The second is less popular now but has been used on-and-off for the last year that I`m aware of. Basically it`s a Cavprince + Level 4 in a bus with either a supporting cavalry unit or infantry unit (the latter frequently being WL with BOTWD). Furion ran such a list quite a bit last year. The last is a more recently emerged list style where it`s all about shoving as many points as possible into a stubborn, BOTWD-protected unit of Helms. Typically 5-6 characters filling Lords + Heroes, leaving only 600 for rare + special (typically goes into Eagles, Frostheart and RBTs). Very few configurations in Warhammer can stand up to this unit, but it grinds poorly (a Stank can hold it for multiple rounds of combat for example: an Iron Daemon can potentially hold it for a game). Furthermore, it suffers from the list inherently having few drops - a cunning opponent might be able to out-deploy you severely, partly negating the mobility advantage. So basically, we are left with the following units as our core elements: Silver Helms (always present), Ellyrian Reavers, Great Eagles, Repeater Bolt Throwers and Frostheart Phoenixes. The first two are core units and what you could take instead are Archers, Spearmen and Lothern Sea Guard. These 3 are all M5 T3 with poor save though. But how come the RBTs are a vital element, they don`t have any mobility at all? Couldn`t we ditch them and spend core points for Archers towards this end instead? On paper, the idea isn`t half bad, but the analysis won`t get far before you realize that Archers are a poor unit for this task: RBTs are highly flexible because of their 2 different modes of fire and their great range, coupled with the fact that they are cheap. Leaving your RBTs behind when spread out doesn`t yield a lot of points, even when maxed out it`s less than 300 points in total. The difference between 48" and 30" is also bigger than you`d think. The next time you play a game of Warhammer, deploy an RBT and a small unit of Archers next to eachother and measure the area they cover relative to one another. The difference is huge. Furthermore, S4 AP has way more hitting power than S3. For 70 points, you get an RBT that fires 6 shots or 10 Archers that fire 10 shots. Assuming a perfect world for the Archers against a typical opponent, say Dark Elf Dark Riders within 15" that have maxed armour and the Archers haven`t moved, we get the following: 10*0.67*0.5*0.5 = 1.67 casualties. RBT: 6*0.67*0.67*0.83 = 2.24 casualties. Let`s take a completely unarmoured Wood Elf Glade Guard: 10*0.67*0.5 = 3.35 casualties. RBT: 6*0.67*0.83 = 3.37 casualties. Even here, the RBT is (very slightly) superior. This is considering examples that are good for the Archers. Bear in mind that multiple RBTs are pretty good at zoning enemy monsters and hard hitters as well, for example a Daemon Prince, unit of Demigryph Knights or Pegasus Knights. Against these, the Archers are next to useless as S3 with their low range, low mobility, front-arc requirement etc just never make an impact. The RBT on the other hand can just be deployed in a dominating position and exert its control through redundancy with the other war machines. No amount of Archers can do this. Sea Guard are even worse at this role as they have shorter range and cost more per bow they bring and Spearelves can`t even do this at all. As neither of them are mobile or durable either, their place is not in a Powerplay list. The RBT serves multiple other roles as well. While their bolts are somewhat ineffective against our own monsters, more notably the Frostheart and the Star Dragon, they are enough to make them think twice about hanging around for too long before committing to combat. More importantly though, the RBT will almost always have something worth shooting at the table. Clearing fast cav, Great Eagles etc can often be more important to winning a game than zoning a unit. Their excellent range allows them to do this at a distance and often times, especially in Elf matchups, thinning out these support units will be the difference between being able to push and having to hold back because of inevitable roadblocks. It`s important to note that it`s largely the flexibility that makes the RBT so good, they rarely have matchups that are directly bad (Skaven and Daemons are noteworthy exceptions where the RBTs often make you wish you`d have left them at home). Even if up against a list that sports no monsters, no 1+ save units and no chaff (examples: compact infantry DE, Skaven Stormvermin-star variants, HE White Lion builds), chipping off a few elites before combat hits home can often be worth its weight in gold. The Silver Helms are a natural mainstay unit then where you will likely be bunkering your characters. What about Reavers though, why do we need them? Our book took a big hit in terms of board control compared to our old one: We went from being able to take 4 Great Eagles to now only 2 units. The main purpose of these guys is to block enemies out from combat and as such taking them in units larger than one is counter-productive. Having more chaff units means it`s easier to enter an otherwise dangerous area as you can delay reactions by throwing cheap units in front of opposing units. Investment in these does have diminishing returns however, but since Reavers are core and the only other viable option for Powerplay is Silver Helms, they are an excellent choice for improving one`s board control. In addition to playing redirection roles, they can also perform sneaky actions such as congalining up with a champion in the front to threaten enemy chariots, monsters and similar single models: With their fast cavalry status they can typically wrap around enemy flanks really fast, and when you charge for example a chaos chariot in the rear with a congalined Champion up front, you`re looking at at least a +2 won combat, meaning said chariot is taking a break test on LD6. While not a central role for these guys, the mere opportunity for this to happen increases your board control presence. Such a dart of Reavers with a Champion can also support a Dragon, taking away annoying challenges to make the monster hit hard on the first turn (and possibly the Prince as well, depending on his setup). Rather than quote lists I feel I`ve now described the basic elements, why we need them and why they are better than the other choices available. Let`s look at how they work in practice, how we should play them and what their advantages are. The basis will be the three list examples above. Powerplay is all about applying pressure and playing aggressively, without losing your head completely. Having witnessed a Star Dragon cause utter destruction, it`s easy to conceive of it as invincible. This is far from the truth and it`s worth bearing in mind: no unit in the High Elf army can be played headlessly aggressively. When you do commit to a fight, consider what the combat resolution is likely to be, whether the enemy will hold or break, what happens in both cases and, most importantly of all, what possible responses and counters does your opponent possess? For example it might be juicy to charge that mage-bunker, but if your Star Dragon is all alone and he has a champ and a throwaway hero or two and that mage just happens to have Purple Sun, you could have a bad time really really fast. Likewise, a bus can often find itself overcommitting to units it cannot grind whatsoever. A Steam Tank at full wounds with Regrowth and Lifebloom backup is a perfect example. Know your limits, apply the pressure, but don`t go overboard. Why is this case study important? The Dwarf matchup is, surprisingly enough, often a good one for a Powerplay list. You can typically counter-corner the Dwarfs if the map is bad and go for a drawish result. If the map is good, you can often steamroll them for a 20-0. Thus, the average is roughly a 15-5 win, which is good for any matchup. However, to take advantage of this you need to know how to huge the terrain and set up multiple threats: The new Dwarf book has excellent choices for interrupting pushy armies, especially the ones that move fast. This case study shows how the threats are too many with too many different attack vectors for the Dwarfs to fully deal with and how the High Elves could capitalize on this for a big win. Note that all hills, impassable pieces and houses block line of sight completely. The North side is terrible for a gunline, regardless of which corner they choose there is a column of advancement where the artillery cannot see my monsters. I was lucky and won the roll-off, forcing him to go North. With 5 chaff drops, he had to commit before I deployed any of my heavy hitters. I put the bus in the open, both monsters outside of his Cannons and GTs line of sight and the RBTs had a clear view to tear apart his Longbeards. Just killing a few could be game-breaking here as wiping stuff out and moving on is key vs Dwarfs so you don`t get stranded in front of their super-hard troops and artillery. Advancing took 2 turns to put everything in place to avoid risking unlikely charges. At this point, I had bus + Dragon threatening Longbeards and the Frostheart threatening the Irondrakes. Note that I was still out of his WMs LoS with the monsters. This game ended 20-0, I even killed the tanklord before Turn 6 was over! You might notice that had he won the roll-off for sides, things would be harder for me. In this case, one needs to evaluate whether it`s worth pushing or cornering for a tie-ish result. This depends on your standing in the tournament, what you need to achieve, and what you could likely achieve. Even one full turn of shooting from 2 runed Cannons and 2 runed Grudge Throwers could easily bring down enough of a High Elf army to make an assault nothing but suicide. When you look at a strong army on the other side of the table it can be a daunting prospect. Frequently you will have defeatist thoughts like "how on earth am I supposed to deal with x y z at once, they`re all there!". The short answer is, you can`t. If you take a look at the statlines in Warhammer, the slower things are the harder they hit per point you`ve invested. Dwarfs, and Hammerers in particular, are a very good example of this. For this reason, a defensive unit is inherently stronger than an offensive unit. This means that the offensive unit needs to isolate the defender and engage one unit at a time. I`ve already discussed at some length the importance of chaff, but there are multiple other ways to ensure isolation as well: multiple charges, sweeping manoevres, flanking an opponent and combat reforming can all help to achieve isolation. Speaking of combat reforms and overruns, understanding these concepts is hugely important to your success as a Powerplay general. Combat reform is among the most powerful moves in Warhammer: like a normal reform it allows you to completely rearrange the unit. However unlike normal reforms, your center doesn`t have to stay the same. This can be used to slide single models or entire regiments, create new angles, deny enemies a prepared charge and much, much more. Always consider your options for a combat reform. Normal reforms after a combat are also hugely important, this out-of-turn re-arrangement can catch opponents completely by surprise. In this game, such a move enabled me crash home to my opponent`s bunker, scoring really big points: HE vs SK. See also this game where an unexpected combat reform allowed me to catch a unit that should not ever get caught: HE vs WE If you play a Silver Helm unit with a Crown of Command character, your reform possibilities are endless. You can create huge openings and tie up insane amounts of space. With a 20-big unit, you can engage with a 5" wide front and combat reform 2-wide, rotated by 90 degrees so that you basically have a 20" long roadblock that is just so hard for many armies to deal with, the bus being 2++ vs magic as well as 2+ armour save. See this report for an example, where I wanted to lock down most of his army to combat a key unit without interference: HE vs SK. When you play an aggressive list you`re always trying to create opportunities, however when an opportunity arises you need to consider possible responses from your opponent. Does he have a decent counter etc, as discussed previously. To make sure you jump on the right opportunities, you need to think long-term: try and visualize the moves that will happen in the next 2-3 turns and how your decisions affect that, what the situation will look like given optimal responses from your opponent and so on. This is your baseline, and it should always be clear. When you move a heavy hitting unit, the plan should always be what`ll happen with said unit 2-3 turns ahead. Having tunnel vision and jumping at a poor target can be an easy way to defeat. Likewise, not moving with a plan can quickly lead to your indecision tearing you apart: an aggressive army has to play the active part. Balancing this with holding back is key: there`s nothing wrong with holding back as long as there`s a sound plan behind it. If you are holding back because you don`t know what to do, chances are you`re making (or have already made!) a big mistake. As this is a timeless concept, I would like to bring out yet another example with an army from our old book. I remember this game very well as I was frustrated that I couldn`t get big wins in this tournament and then finally, game 5 saw me get the opportunity I needed. My goal in this game was to win the chaff war, set up multiple units and engage whatever went too far. The turning point proved to be his over-zealous Hexwraiths, which I by charging took very little risk had the charge not hit home. By hitting home however, the benefits were huge. Notice the movement from the flyers here leading up to the situation and how I do everything I can to just position for the big strike: HE vs VC A report I linked early highlights a similar but different style of play, here I engaged a fairly healthy steam tank. My plan here was to await its demise and then multi-charge whatever came too close. Because of this my bus was very cautious up until the right moment, yet I always had the angles and ranges I needed to react on a moment`s notice, all due to planning ahead: HE vs EMP. Learn to always consider multiple turns ahead and factor in the best play you can think of for your opponent. Why is this case study important? Empire is usually a tricky matchup for High Elves. Depending on build, it can be anything from slightly in your favour to massively in your opponent`s favour. Empire is perhaps the army it is the most important to isolate against: Even a modest combination of 5 Demigryphs and a Steam Tank charging into your main combat unit will quickly ruin your day (and this is but a fraction of the points their army consists of). To deal with them then, you have to force a favourable situation. The Empire struggle with board control as they have poor chaff clearance and their Steam Tanks have to pivot towards what they want to shoot. This makes them predictable and it gives our support units free reign of the map. In this case study, the Empire army is severely out-deployed with the High Elves being safe from Dwellers for the early turns while also largely negating the impact of the cannons while also giving the RBTs near-perfect lines of fire to threaten the 1+ spam. The fence in the middle allows for some degree of cannon protection should the Empire play too defensively. He is thus stuck at threatening the middle and risking a flank, and staying defensively and risk me grabbing the fence before ramming into his units with both flyers. He went first and sent the Stank towards me. Furthermore a cannon blew up. This allowed my Dragon to begin its flanking movement: by moving close to the piece of impassable the Stank cannot neither charge me nor shoot me (the terrain piece cuts his route) and the cannon only barely has a point it can see. From here on, the plan is to use the Stank as a safety point. Eventually it will go down and that`s when I can strike. My opponent lacked regrowth so I knew I wouldn`t suddenly be back to square one. Eventually the stank goes down and at this point I have everything in position. Even though it goes down at the end of my turn, the Reavers have managed to engage and silence the Cannon so the worst he could throw at me was Dwellers (which did kill the Prince). By making sure his Grandmaster wasn`t in base-to-base with the Star Dragon, it would only be a matter of time before the big beast would drag down the Knights. Indeed, in T6 the Knights were all dead and the Grandmaster`s damage was largely negated by BOTWD. I made a point earlier about Silver Helms being a core element in any Powerplay list, but it is very important to remember that these, like all our other core choices, are S3 with no benefits what-so-ever, apart from when they charge. Thinking of Silver Helms like "almost Swordmasters" is a huge mistake: all too often you suffer rubber lance and you`re stuck trying to grind stuff with S3. Not good. What they are good at, is staying alive and protecting points, usually characters as well. Many people like to play them stubborn, which is a safe and conservative choice (and a must-have if you are going for the Deathstar), but it is also possible to tool it up aggressively for more hitting power. This somewhat mitigates their poor grind, but even an Ogre Blade on a Noble won`t make a huge difference if you`re in the wrong fight. Note also how, in the above case study, the Silver Helms were nothing but a bunker for the characters and static combat resolution. Certain matchups are good, others are bad. In a singles setting, you have no control over what you meet. What you do have control over however is what you can do about the hand you`re dealt. Dealing with it correctly assumes you understand the matchup. Different lists have different hard things to face. One trait they all have in common is that they don`t like being blocked out or stuck. Flyers can move over almost any impediment, but our flyers inevitably rely on block support if they want the big win. When chaff is combined with powerful counter-charging elements, it becomes dangerous. Why is this case study important? This game features a typical mistake to make with a Powerplay list: You think you are in control and have the stronger element(s) when in fact the reverse is true. This matchup needs to be approached much like Empire: You need a diagonal approach to capitalize on your speed and mobility and create opportunities as your opponent wheels around to deal with you. While a head-on approach is often the correct with Powerplay, identifying when it is a mistake instead is crucial to playing the matchup strategically correct. My failure to do so in this game created unnecessary risks early on and the flow of the game quickly shows the inherent problems of me misjudging how to play this. While the flyers can largely ignore this, one quickly realizes that it becomes very hard to advance with the bus here. Furthermore, the flyers cannot really head for the juicy stuff because the threat arcs deny them the opportunity. In a nutshell, the flyers rely on isolating the Sphinxes with support from the bus (static resolution is super-important here) and this deployment makes that very hard. Despite having high magic and thus access to Soul Quench, even with RBT support I cannot reliably kill enough fast cav quick enough to make this possible. The mistake here was not deploying in a skewed manner (see the Empire case study), which allowed his blockers to achieve him victory. Correctly assessing the matchup I should`ve seen this and deployed differently. The case study above highlights a typical pitfall for these lists: Their speed and hitting power lure you into thinking it`s all about a head-on charge hitting hard and fast. Unfortunately (or perhaps I should say luckily? ), Warhammer isn`t that simple. A skewed deployment is often favourable for a Powerplay list, simply because it allows the cavalry to capitalize even further on its movement advantages: By hitting a corner the opponent has to cover a lot more ground to set up a decent, defensible position, whereas hitting him straight in the middle of his battle line allows him to envelope the advancing forces a lot easier. See the Empire case study for how hard it was for his Demigryphs to make a difference here. Furthermore, if you have an infantry element in your list, a wide flanking manoevre from the cavalry creates lots of space and board control, as well as mitigating the speed differences. Why is this case study important? Dark Elves are very elusive and they sport a ton of hitting power. I have seen a couple of characters bring down a Star Dragon in a single turn of combat, the combined might of multiple flyers can break even Ogre Gutstars and their shooting provides so much board control it`s ridiculous: Even in hard cover I frequently find my Reavers dropping like flies in this matchup. This case study features a signature Powerplay move: An element moving up the center is strong enough for even the DE to be unable to counter it properly with a flanking unit threatening to crush through the supporting elements and perform a pincer move towards the middle alongside the central element. I was very close to grabbing a huge win in this game, it was down to basic math in the end but the game shows the potential in a Powerplay list when played correctly. In this game I met a typical shooty-avoidance DE army. I deployed the cavalry wide and swept a flank with them. This game boiled down to a risk assessment on my part where I made a judgement call: A mistake on my opponent`s part allowed my cavalry to hit home alone without PG support. By doing this I risked a killing blow on my Lord but that was the only way I believe he could have a chance. The more conservative play would be to clear more chaff and await the PG. Regardless, the strategy of sweeping wide proved solid. The cavalry have a dominating position from which they can choose a number of actions: engage chaff and reform to buy PG time, engage chaff and overrun or engage shooters on the hill. Notice how close the PG are (relatively speaking) despite being M5 compared to M9. Cavalry can sweep wide and have movement left to wheel towards the centre, making this an excellent manoevre with them. We`ve now looked at the importance of skewed deployment and flanking manovres, vital aspects of mastering Powerplay. However, what if you need to deploy directly opposite to just engage head-on as soon as possible to grind? Why is this case study important? Contrary to the Tomb Kings case study above, in this game the only right thing to do is to get stuck as soon as possible. It is important to note that the deathtrain will, on average, beat Slaves before they get to move again (if not in your own turn they perish in his). This is crucial as quick math shows that combat by T2 means you can plow through all the Slaves and still have time to engage his Stormvermin. This case study features the sheer might of a Powerplay list that faces an opponent who has no answers for it and is short on chaff as well. In this game I deployed the cav-unit directly opposite. I knew the Skaven would try and delay me with Slaves and hide the Bell + bunker. Engaging as soon as possible is essential to a big win here. The idea was thus to run right at him: on average a unit of Slaves goes down in one round of combat since the Deathtrain has so many ranks and deals so much damage on the charge. The Skaven counter-move saw him set up a seemingly favourable situation: the Slaves are easily engage-able, but is it worth it? By keeping the bus out of combat I can focus on Death snipes vs his characters and magic missiles on the Hellpit. Furhermore, I can engage with the Frostheart, block the center and just completely lock down the battlefield. This allows me to choose my fights and I have plenty of time left: Be patient, pick your fights. Will he commit and hope for the best, or try his best to play safe? Biding my time and focussing on the Hellpit allowed me to put him in a very tough spot. He commited the Hellpit to the Phoenix, died, blocked the bus with Slaves. I killed the Slaves and combo-charged his bus, securing a big win for the High Elves. There are very few armies in Warhammer that sport lots of chaff and combat units that a Powerplay list fears. Tomb Kings is one of the few examples. When you encounter this, you basically have to bide your time and bring down the chaff. Deploying skewed helps you a bit as it gets hard to move all the chaff around (remember: lots of chaff units are typically deployed early so could take some time to re-deploy) fast enough. DoC typically enjoy a lot of chaff as well and the hard part here is getting big points in the first place because they have lots of drops, lots of chaff and are immune to panic. As shown in the pictures at the top of this article, the best we can hope for here is for an opportunity to arise from which we can use combat reforms, overruns etc to create unforeseen threats. However, not only armies with lots of dedicated chaff units will want to delay you. Pretty much any list will throw cheap stuff in your way to delay you. There are multiple ways of dealing with this, but an important thing to remember is that a bus always consists of multiple elements. Why is this case study important? Death by a thousand cuts is a typical threat to powerful units, be it monsters, deathstars or characters. This is doubly true in the meta where Wood Elves and Lizardmen pray on the typical lists. Being able to counter these with multiple threats is essential to controlling the pace of the game. The alternative is to have them swarm you and chaff you at every turn to the point where you end up bleeding more than you take. Executing this move allows a list designed to allow this as well as knowing the tactics involved, more specifically reforms, keeping front arc where it`s needed etc. Note also the importance of the supporting units dominating vast areas of the board to limit the Wood Elves` options here. The Deathtrain has a lot of tricks, so in this case I reformed to move around the Eagle, killing Wood Elves with magic missiles instead. The RBTs took care of the blocking Eagle. My reform shenanigans however allowed his Archers to reform and block me, just barely. Like the Battlestar Galactica can send out vipers. In this case, a cavalry prince, to tie up a bunker. This eventually lead to his collapse. Taking the Deathtrain requires careful planning and coordination. When up vs multiple units of chaff, you need to recognize the situation and what it calls for. As shown above, reforming past and shooting, throwing magic missiles and charging out solo characters are all viable options. There is unfortunately no template you can use to know what to use what, but being aware of all possibilities are crucial as this unit does not play like a normal Deathstar whose only purpose is to maim and kill as an unstoppable object. The number one mistake people make with Powerplay lists is that they think they`re invincible. You make a list and on paper it seems like an unstoppable force. You play it as such and you`re bound to run into something you don`t want to run into. This isn`t necessarily something you can`t fight, it could for example be an Iron Daemon which can likely hold you in place all game while the CD player kills the rest of your army. For every single matchup, you have to evaluate how you can break the opponent`s mainstay units and what you need to do to achieve this. The case studies above show a multitude of approaches that are all based on an understanding of when to do what. Vs Empire, the combined might is impossible to take on, so the High Elves manage to create a situation where the Empire units are engaged one at a time. On the opposite hand, we have a Skaven game where the Deathtrain just rams home become there is nothing in the Skaven army it fears. Lastly we have the WE game where the Deathtrain features its flexibility as it throws out more threats than deathstars are known for having, overwhelming the otherwise perfect solution to a deathstar. Likewise the Tomb Kings case study features how bad things can go when you misjudge a matchup: If you think you can go straight at the enemy when you can`t, you will suffer for it and suffer a lot. The second most common mistake mistake is not committing when you have the ability to strike a decisive blow. The Dark Elf case study above shows such a gamble which did not pay off, however the game was still not lost (in fact I managed to squeeze out a small win) and if things had gone my way, the table would have been cleared entirely. When you play an aggressive list, you need to be able to seek the risks when possible. In practice games in particular I think the rule of thumb should be that it`s better to be too aggressive than too little aggressive, to learn what the list`s limits are. The two pieces of advice above might seem to contradict one another, but this is the beauty of Warhammer: If you could just push on through, the game would not be fun nor interesting (just ask Daemon players). Even when playing a list with almost all its points solely dedicated to smashing the enemy apart, you need to consider a lot of scenarios and evaluate your opponent`s list`s capabilities closely. Luckily I can`t provide a silver bullet for how to do this (again this would make for a bad game, just ask Skaven players), but I`ve tried giving some pointers above in the case studies which can hopefully act as guidelines for when you should choose what. When you encounter this, which is very rare, you have 4 options: Bide your time to reduce the situation to something you can handle, isolate the elements, run away, kill the rest. Example of biding your time: the previous TK example is hard to fight because 4 Sphinxes are too much T8 to handle. However a few rounds of RBTs and Soul Quench could reduce them to 2-3, which it`s possible to engage. A skewed deployment would make it easier to achieve either this or isolation, depending on your opponent`s reactions. Some elements cannot be reduced effectively: an Ogre Gutstar for example. In this case, you can save your chaff as best as possible to simply isolate him out while using the rest of your forces to (hopefully) kill the rest of his army. With the exception of multi-threats such as Tomb Kings` Sphinxes, I don`t think I`ve ever encountered something I don`t want to fight with a combo-charge. With a properly designed Powerplay list, they are very few and far between. What could happen however is that you lose something vital during the game, which forces a change of plans. As this could happen at any time against any army in arbitrary positions, it`s impossible to give general advice as to what the best course of action is here. This article has come a long way since its first inception. Through feedback it has evolved to many times its original size. I originally intended to flesh this out even more, but I decided against some of the things as I believe they take the focus away from the important parts. This article is mainly intended to provide insight for experienced players to a concept and a set of strategies with which said concept works very well. Secondly the article focuses on the specific tactics used in a number of case studies to examplify how to implement the ideas in action and lastly, there are a few bits on the unit selections, why I believe the concept has so much potential etc. To this end, I think this version of the article is good. Some of you probably still think it needs fleshing out. Maybe you are right, but at this point I will not be expanding it further. I do intend, over time, to make a number of smaller articles based off of these where I will delve deeper into some of the specifics touched upon in this article. An example would be the usage of the Silver Helm bus: Various configurations, deployment, in-game movement, character positions and tanking, the importance of static combat resolution and when they can make a significant impact in terms of damage. I think this is a better place to fill in with a lot of the feedback you`ve all provided that I decided against, in the end, to include in this article. As such I`m asking you all to vote for this now. Do you think this article belongs in the "tactics articles" forum? A simple yes or no will suffice (but I have deliberately not put up a poll here to avoid trolling) but I will of course gladly welcome your reasoning as well, regardless of your vote. I do, of course, reserve my right to agree to disagree. Thanks for a very interesting read. I feel this is useful in the tactics articles forum. A lot better than the original, and I can see you took a lot of the feedback (both mine and other's) to heart! Certainly a credit to your persistence and patience! I especially like the paragraphs you added in front of each battle report, explaining what you would be showing and why the case study matters. If I might suggest one other formatting change, it would be perhaps adding a table of contents at the beginning which links to the relevant parts (and hyperlinked letters or roman numerals to compliment), as readers might be particularly interested in reading about your progress against Skaven and less so against Empire, for instance. I would also do one more complete line edit before putting it up: I counted a good half-dozen non-trivial errors which disrupted the flow. The biggest thing I think you've overcome here is the tone - it no longer feels condescending and instead feels much more explanatory and insightful. The difference is night and day from the original article. The arguments here are much more well-grounded and the piece as a whole has a flow that earlier drafts were missing. The closing summary at the end certainly helps with this as well. As such I`m asking you all to vote for this now. Do you think this article belongs in the "tactics articles" forum? Yes. The answer is undoubtedly yes. Congratulations on the end result! You should be proud! Thanks for putting in so much effort to produce this great resource. As a relatively new player I found the advice regarding skewed deployment particularly relevant to some of my games. (I'm going over past wins and losses in my head and I think I'm starting to understand why I lost some games unnecessarily). Thanks again to everyone for your contributions along the way I'm closing this topic now, feel free to discuss further in the tactics article thread if you have any comments or questions.